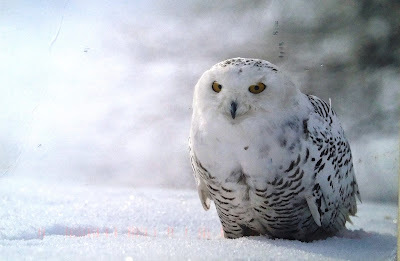 The snowy owl (Bubo scandiacus) is a large, white owl of the typical owl family. Snowy owls are native to Arctic regions in North America and Eurasia. 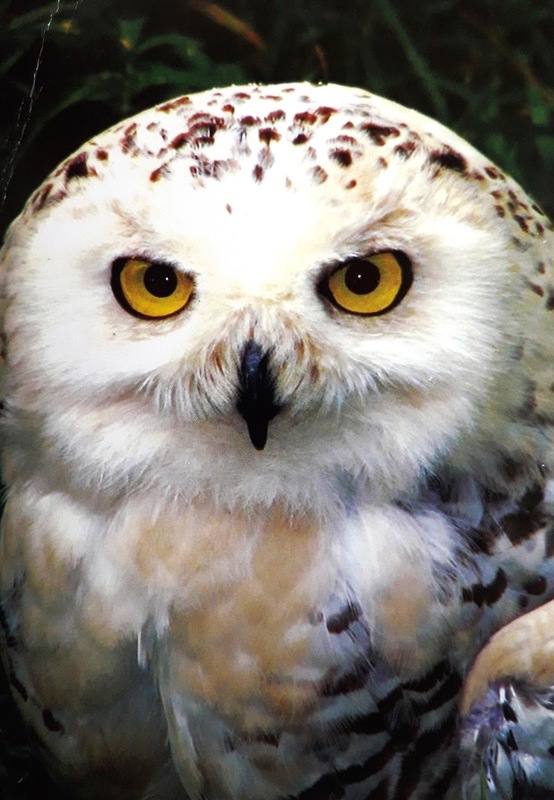 Younger snowy owls start with a darker plumage, which turns lighter as they get older. Males are almost all white, while females have more flecks of grey plumage.